I am Jack Byno, an Ellis County, Texas traffic ticket attorney and since 1994 I have been representing clients with speeding tickets and other traffic violations in the Midlothian Municipal Court The law requires that you appear in court on or before the date given on a traffic ticket. You can, however, retain an attorney to appear on your behalf. The attorneys of Jack Byno & Associates can help you with your speeding tickets, traffic warrants, CDL violations, and driver's license suspension hearings. Contact me for help with your Midlothian, Texas traffic tickets. 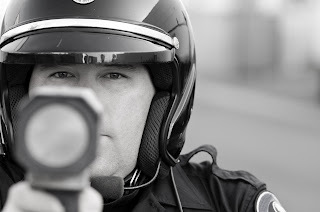 Do you need a speeding ticket attorney for a case in Midlothian, Texas? Did you receive a citation for a moving violation or some other traffic violation in Ellis County? How are you going to handle your speeding violation? If retained, I can appear in court on your behalf and in most cases work out a deal to keep the speeding ticket off of your driving record. I will look for valid grounds for dismissal, but if I cannot find it I will plea your case to a deferred disposition, which means probation. The end result is you will pay a court fee and cannot receive another ticket during the probation period. If you follow these instructions, plus any others the court orders, the case will end in a dismissal. Of course you must qualify for the probation and the court has the authority to deny any requests. Contact me to discuss your Midlothian speeding tickets. The City of Midlothian participates in the Statewide Warrant Roundup. Do not think that you can put your traffic warrants off until you have time to get around to them. The city, along with many other towns from across Texas, actively pursue their warrants. Thousands of residents from Dallas - Fort Worth area find out every year that they put their citations off a little too long when the Midlothian police came knocking in their doors, showed up at their jobs, or arrested them when they got pulled over for a normal traffic stop. Do not wait until you are in jail to contact me . call today! More about the Midlothian Warrant Roundup . Are you a CDL holder with a speeding ticket in Midlothian, Texas? As you know, you are not eligible, as a matter of law, for deferred disposition (probation) or defensive driving. I have been representing clients with CDLs since 1994 and I understand that a lot more than just a ticket is at stake for you. Without a clean driving record you may lose your job and/or lose your driver's license. The lawyers of Jack Byno & Associates can be retained to plea your case to the best deal we can make on your behalf or we can be hired to take your case all the way to trial. Contact me to determine your best course of action in the Midlothian Municipal Court. The statewide warrant roundup is approaching and Midlothian, Texas does participate in it. The City of Midlothian police will be actively looking for people with traffic warrants. The lawyers of Jack Byno & Associates can post a bond and lift your warrant. Our attorneys can also help you with speeding tickets, CDL violations, and defending driver's license suspensions. Contact me if you need a lawyer with experience in Ellis County.